Summary: Electrical Circuits Question: I wired a timer switch for my 220v hot water heater, it only had 1 ground 1 line 1 load terminal. I wired a timer switch for my 220v hot water heater, it only had 1 ground 1 line 1 load terminal. Does it cut off hot water heater by breaking only one leg of the the power. How? Hi Doug - Great Electrical Repair Question! The 220 volt heating element must have both legs of power to operate and complete the circuit. Controlling one leg of power will keep it from working, however it is not a good idea and here's why: If the water heater ever needed a heating element replaced and you shut off the time clock and not the circuit at the panel you could get a nasty shock at the very least. I strongly recommend a 220 volt time clock. 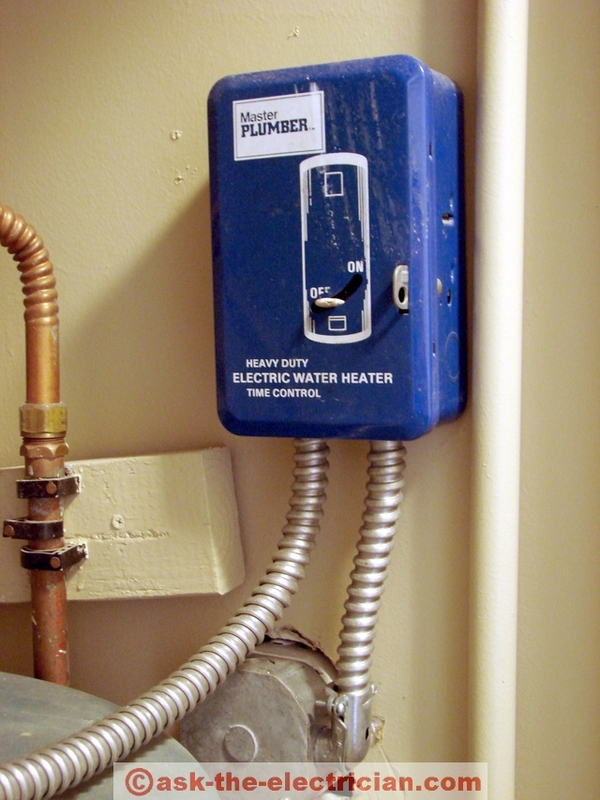 There are time clocks specifically made for 220 volt water heaters and are not much more expensive than the 120 volt type. Controlling the water heater with a time clock is a great idea and will save you money - I highly recommend it, just make sure to adjust the ON-OFF schedule according to idea usage times. Test the water temperature as the tank needs time to heat back up and keep a eye on your electric bill to see if you need to fine tune the schedule. An insulated water heater blanket will help too!